This visual and infrared mapping spectrometer image of Saturn's moon Enceladus (in the 2 micron-wavelength) shows the dark cracks at the south pole dubbed "tiger stripes" for their distinct stripe-like appearance. 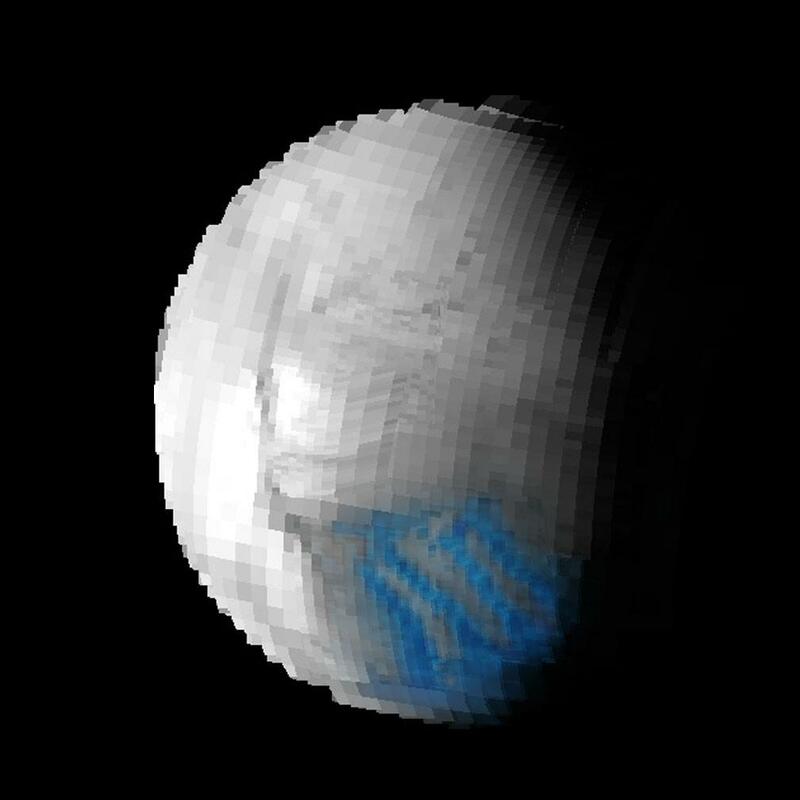 Superimposed on top of the map is a "crystallinity" map that shows the freshest, most crystal ice as blue. The crystalline ice is most prominent in the tiger stripes region. This image was taken during Cassini's close flyby of Enceladus on July 14, 2005. For more information about the Cassini-Huygens mission http://saturn.jpl.nasa.gov . The visual and infrared mapping spectrometer team homepage is at http://wwwvims.lpl.arizona.edu .